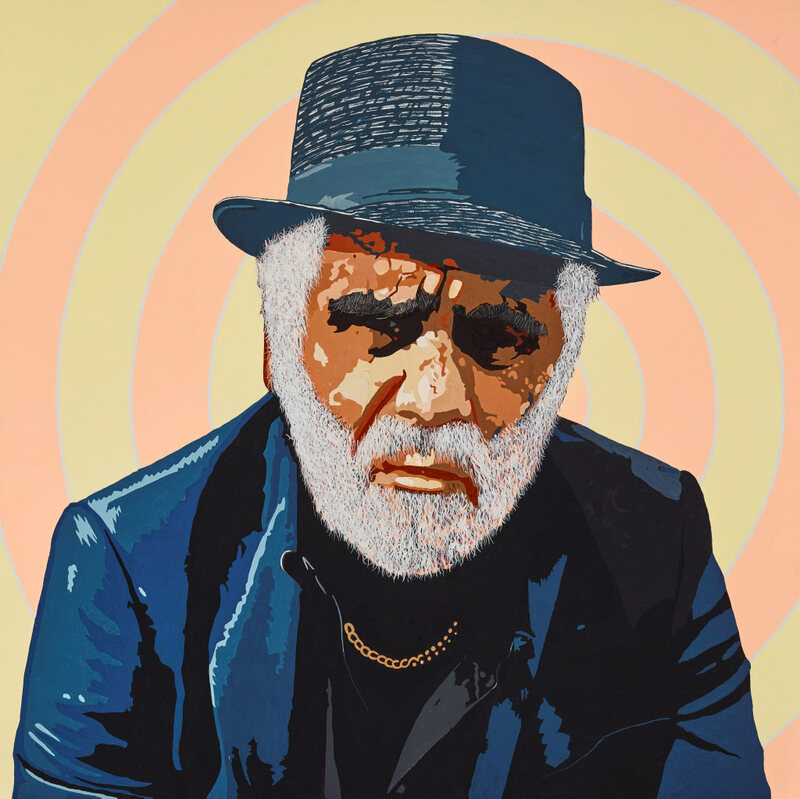 Richard Bell was challenged to enter this year’s Archibald Prize by another artist. ‘After considerable deliberation, I decided to enter,’ he says. ‘The subject was never in doubt. I didn’t believe that anyone, other than myself, would trust me to paint their portrait. Especially since I entered so late. ‘Decision made, I resolved that I would render something figurative and realistic. Several discussions with portrait artists followed, which led me to a very popular, if intricate, process that could deliver what I wanted. But I didn’t have a studio and I had six days to do it. A makeshift studio made for a very untidy living room,’ says Bell. Born in Charleville, Queensland in 1953, Bell has been exhibiting art for more than 25 years nationally and internationally. His work has been collected by the Art Gallery of New South Wales Museum of Contemporary Art, National Gallery of Australia and Queensland Art Gallery of Modern Art, among others. He was also in the 2004 Archibald Prize.